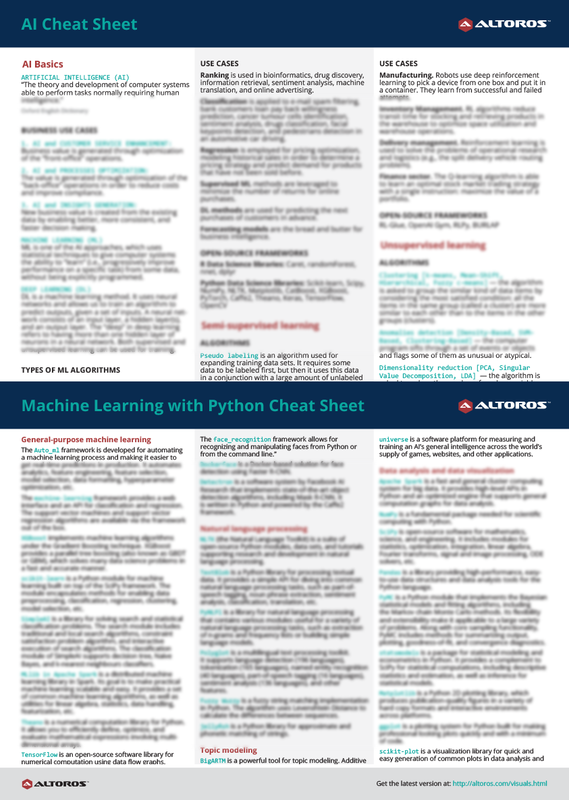 This cheat sheet overviews use cases of applying deep and machine learning to improve operations and automate processes in manufacturing, finance, healthcare, retail, advertising, and other industries. 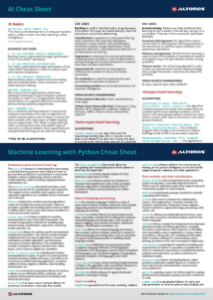 By downloading this document, you will get a collection of algorithms that accelerate particular tasks of deep / machine learning as well as a selection of 50+ open-source frameworks and libraries. 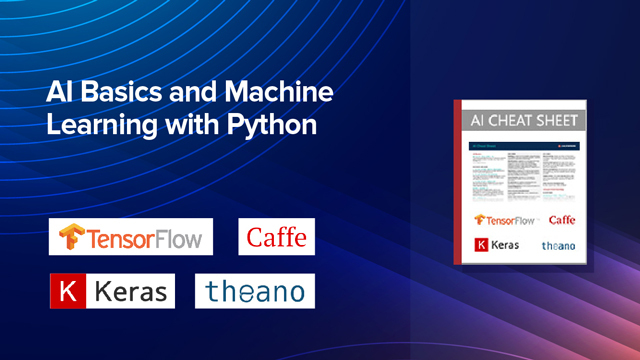 The featured frameworks can be applied to general-purpose machine learning, reinforcement learning, natural language processing, computer vision, data analysis, visualization, chatbots, etc.